Step out in style with this gorgeous frock from the house of Beebay. 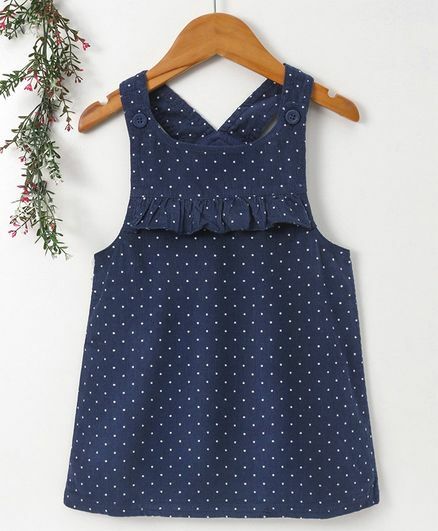 It features a round neck and a dotted print which gives it a trendy look. It has shoulder buttons which makes dressing your girl easy.